Jimmy Kimmel and Matt Damon continue their 'feud' with this new spoof United commercial. 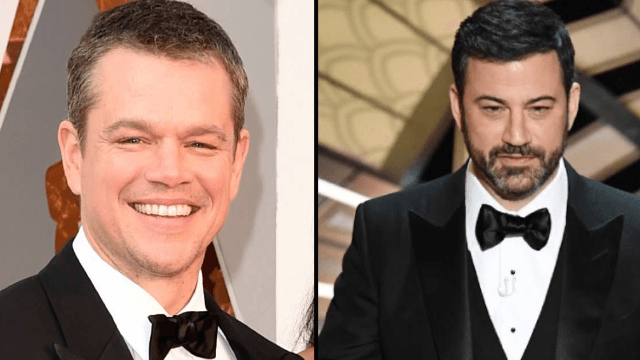 Jimmy Kimmel and Matt Damon's famous "feud" continued on Jimmy Kimmel Live! last night when the late night host took shots at both the Oscar winner and United Airlines with this spoof commercial. Damon acts as the airline's celebrity spokesperson for the fake ad, but of course, he can't make it through the minute long commercial spot without being sabotaged by Kimmel. Last week, Jimmy Kimmel brutally satirized United with this hilarious fake commercial.